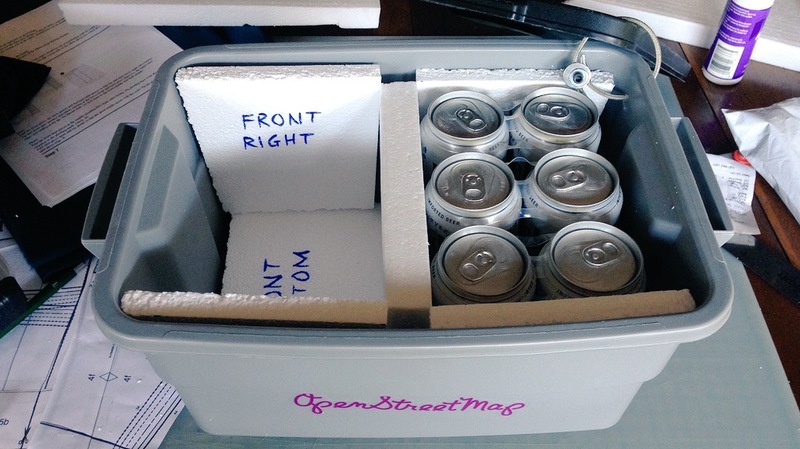 For bike day trips, keep a six-pack of beer cans cold and three burritos hot with this insulated rack-mountable box. 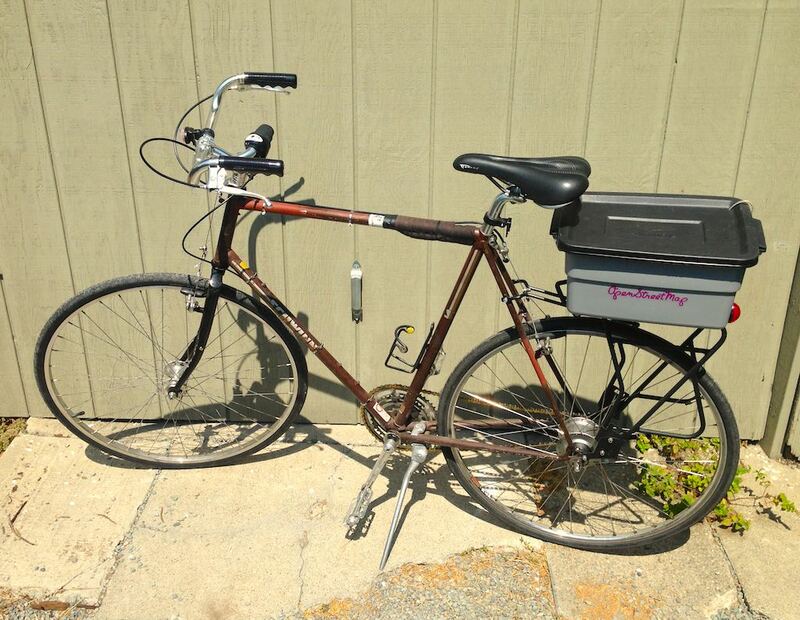 I switched the Schwinn touring bike from a front basket to a rear-mounted rack, and assembled this insulated box using $20 in parts from a hardware store and an art supply store. It should work for any rear-mounted bicycle rack with a flat top. I labeled each of the panels so I wouldn’t be confused about how to fit them in, and wrapped the cut edges with clear packing tape so bits of styrofoam wouldn’t fly all over the place. 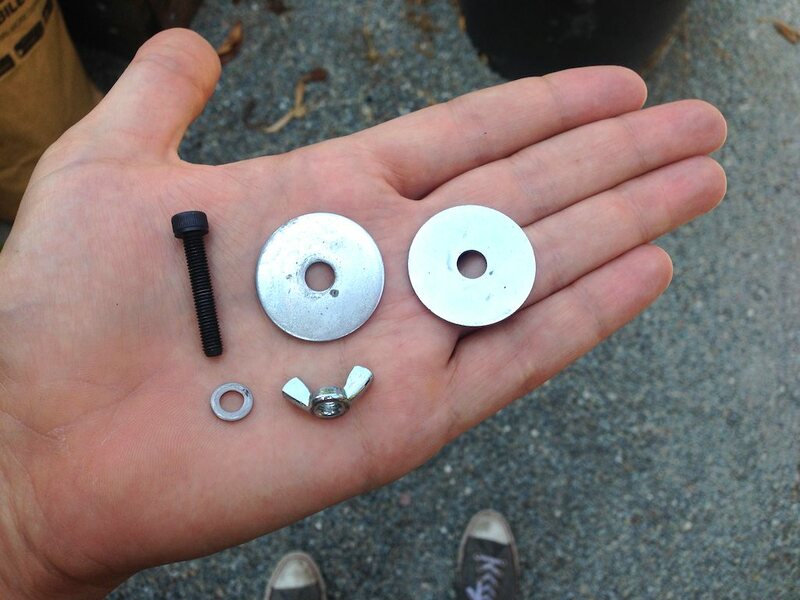 Each mount point is made from a three washers, a screw, and a wingnut. 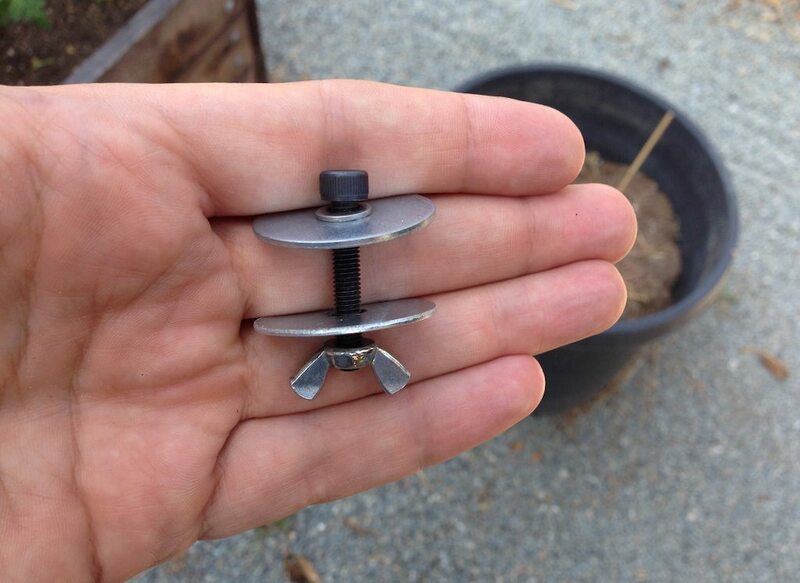 The screw here is fairly long, to make it possible to attach and detach the tote box without removing the wingnuts completely. 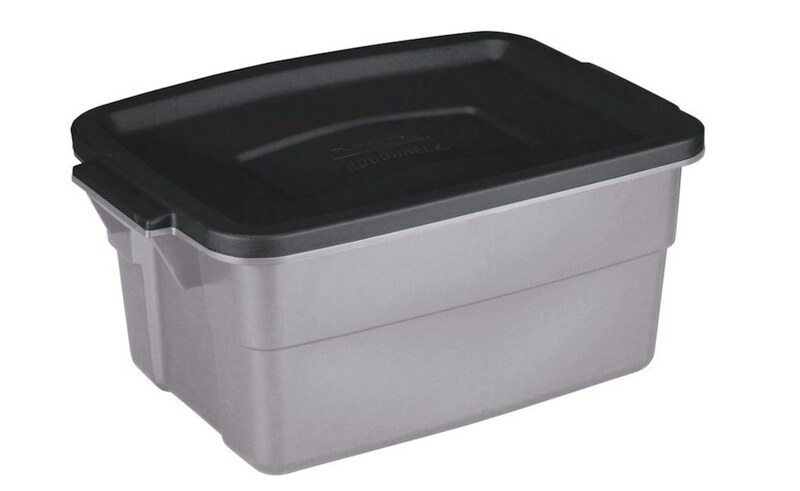 They can simply be unscrewed, and the natural flexibility of the tote container will make it possible to bend the large washers around the rack. 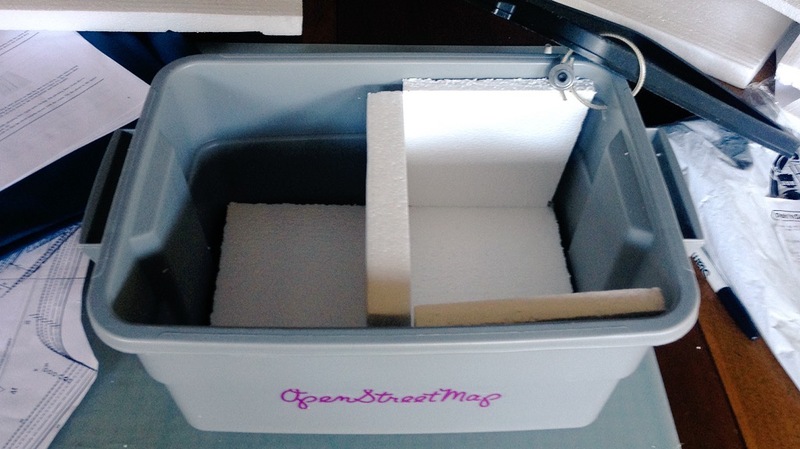 I use large fender washers to catch a complete interior corner of the rack on the bottom, and to distribute the stress on the bottom of the tote box. Smaller washers will distort the box and allow the screws to bend until they detach from the box while riding over bumps. 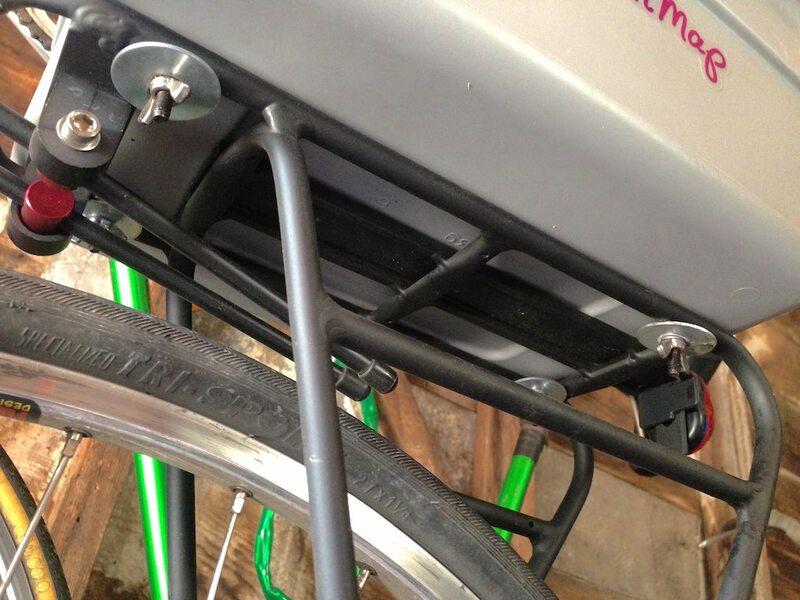 I used metric M5 screws for everything, to match most other bike components. When you drill the four holes you’ve marked on the bottom of the box, use a bit slightly narrower than the screw threads so everything fits tightly. This should keep water from splashing up into the box from below, if you ride in the wet. I tested the box on day-long ride in July. We started out with cans cold from the fridge and burritos hot from Burrito Express at 10am, and ascended Palomares Road over the next couple hours. We descended into Fremont, and made our way west along Alameda Creek to Coyote Hills Park where we stopped to eat around 3pm. 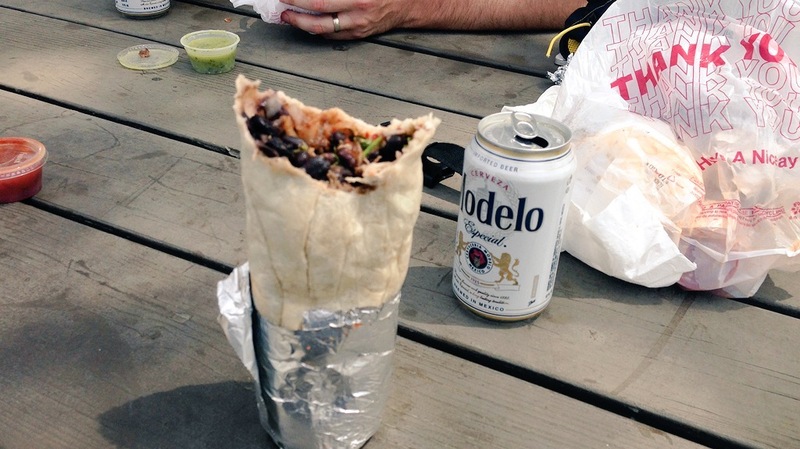 After five hours in near 90° heat, the burritos were deliciously hot and the beers were acceptably cold.